Patriotic Eagle – The Home of My "Big Things"
We were going to the airport to pick Julia up on July 3rd. In case you didn’t know, Indiana is fireworks state. 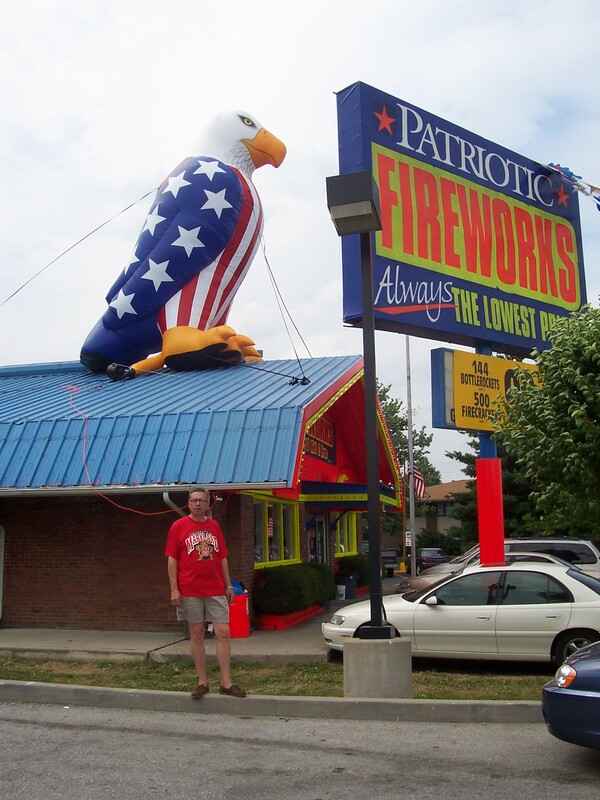 You can buy all sorts of fireworks here. You just have to be careful since you cannot take the fireworks on the plane with you if you are leaving the state on a plane. You would be much better off driving your purchases out of state.